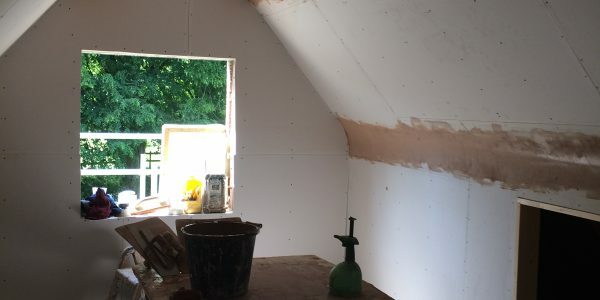 We provide a range of insulation services for ceilings, walls and floors. 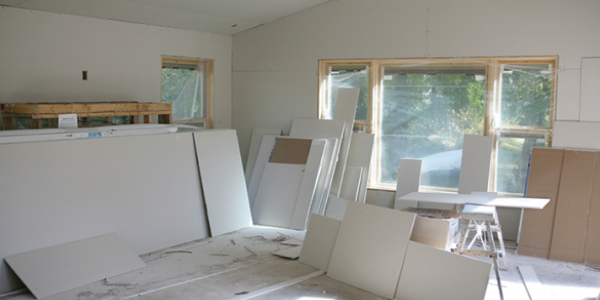 All of our work is done in-house, although in some cases we can call on a trusted partner company who take care of all of the Drywall Applications, leaving us to concentrate on the plastering and screeding parts on the job. We provide all external renders including Monocouche and K Render and also Lime Render for traditional projects and renovations. 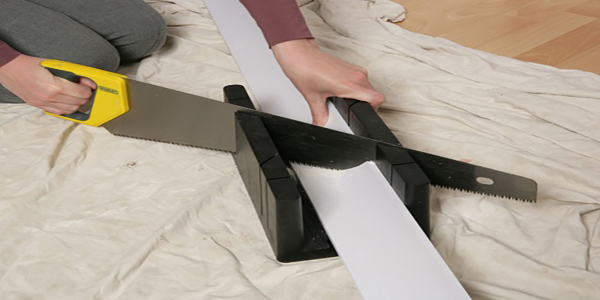 We can help finish off your room by supplying and fitting coving to the highest quality. We provide professional, level, and durable screeding services, including floor screeding. 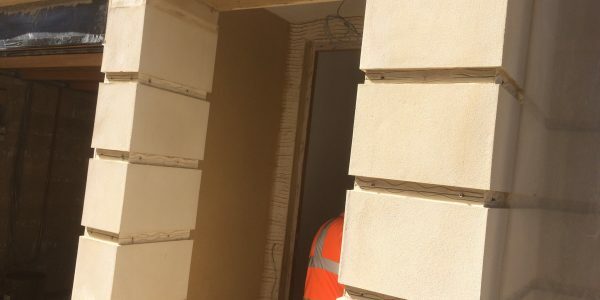 We provide modern plastering, sand & cement rendering as well as traditional lime rendering. I mean Our Services – P&N Plastering is kinda boring. near near post. Thank you 1,000,000 and please continue the rewarding work. of his website, since here every material is quality based material. people interested. You might add a video or a related picture or two to grab people interested about what you’ve written. Just my opinion, it could make your blog a little livelier. It’s really very complex in this active life to listen news on TV, so I simply use the web for that reason, and obtain the newest information. visiting this website dailly and get good data from here everyday. I simply want to tell you that I am just new to blogging and site-building and seriously loved your page. Probably I’m going to bookmark your website . You certainly have awesome stories. Cheers for revealing your website. This is a terrific post and also I rejoice that I discovered your site. I have been seeking details on this topic for the last few days as well as was pleasantly amazed to find it on your site. I intend to be back over the next few months to see if you have any kind of various other items of info that might assist me. It’s in fact very difficult in this busy life to listen news on Television, so I simply use internet for that purpose, and take the most recent news. certainly like your website however you have to take a look at the spelling on several of your posts. Several of them are rife with spelling problems and I to find it very bothersome to tell the truth however I will surely come back again. I am commenting to let you understand of the excellent experience my wife’s princess encountered checking your webblog. She picked up a good number of pieces, including what it is like to possess a wonderful giving style to let the rest with ease know precisely specific specialized things. You really did more than people’s desires. Thank you for offering such important, healthy, explanatory and as well as cool guidance on your topic to Tanya. Great awesome things here. I am very happy to see your post. Thank you a lot and i am having a look forward to contact you. Will you kindly drop me a e-mail? Thank you a lot for sharing this with all of us you really understand what you are talking about! Bookmarked. Please additionally visit my website =). We will have a link change contract among us! some nice methods and we are looking to swap strategies with other folks, be sure to shoot me an email if interested. I believe I’d by no means understand. It kind of feels too complicated and very extensive for me. wonderful put up, very informative. I ponder why the other experts of this sector don’t realize this. Great post. I was checking continuously this blog and I’m impressed! Extremely helpful information specially the last part 🙂 I care for such info much. I was seeking this particular info for a long time. Thank you and good luck. Great post. I was checking continuously this blog and I’m impressed! Very useful info specially the last part 🙂 I care for such info a lot. I was looking for this certain info for a very long time. Thank you and best of luck. I will be grateful when you proceed this in future. Many other people will be benefited out of your writing. After I initially commented I appear to have clicked on the -Notify me when new comments are added- checkbox and from now on every time a comment is added I get four emails with the exact same comment. I’m still learning from you, but I’m trying to achieve my goals. I certainly liked reading everything that is written on your site.Keep the aarticles coming. I liked it! posts here early in the daylight, because i like to gain knowledge of more and more. Wonderful site. Lots of useful info here. I¡¦m sending it to a few buddies ans also sharing in delicious. And naturally, thank you on your sweat! Hi there, I discovered your website by the use of Google whilst looking for a comparable topic, your website got here up, it seems good. I have bookmarked it in my google bookmarks. Thanks for some other informative blog. The place else may just I get that kind of info written in such an ideal way? I have a mission that I’m simply now working on, and I have been at the glance out for such info. I抦 impressed, I must say. Really not often do I encounter a weblog that抯 both educative and entertaining, and let me tell you, you have got hit the nail on the head. Your thought is excellent; the difficulty is one thing that not enough persons are talking intelligently about. I am very joyful that I stumbled throughout this in my search for something referring to this. You made some first rate factors there. I looked on the web for the problem and located most people will go together with with your website. Wow, wonderful weblog layout! How long have you been running a blog for? you made blogging look easy. The entire glance of your web site is wonderful, as neatly as the content material! I¡¦ll immediately grasp your rss feed as I can not find your email subscription hyperlink or newsletter service. Do you’ve any? Kindly allow me understand so that I could subscribe. Thanks. Wow, superb weblog structure! How long have you been running a blog for? you make running a blog look easy. The whole look of your site is excellent, as smartly as the content! I wish to recognize if it is possible for me to add to your website. I have some concepts that you could discover intriguing and would work with the basic tone of your site. I have enclosed my email address in case you intend to contact me concerning it. I may leave this message on any of your other pages that I think I might be able to contribute to. Very efficiently written information. It will be supportive to everyone who usess it, as well as me. Keep doing what you are doing – looking forward to more posts. My wife and i got now lucky Edward could complete his inquiry through the entire ideas he grabbed out of the weblog. It’s not at all simplistic to just find yourself handing out information which usually others may have been selling. And we all see we’ve got the website owner to appreciate for that. The explanations you’ve made, the straightforward web site navigation, the friendships your site help to create – it is everything excellent, and it’s really making our son and our family feel that this topic is excellent, which is really pressing. Thank you for everything! magnificent post, very informative. I’m wondering why the other experts of this sector do not notice this. Generally I do not learn article on blogs, however I would like to say that this write-up very pressured me to take a look at and do it! Your writing style has been surprised me. Thanks, very nice article. It¡¦s actually a nice and helpful piece of information. I¡¦m glad that you just shared this useful info with us. Please keep us informed like this. Thanks for sharing. Look advanced to far delivered agreeable from you! However, how can we be in contact? I would like to express my appreciation for your kindness supporting women who require help with your concept. Your real dedication to passing the solution along had been amazingly valuable and have surely permitted regular people much like me to reach their goals. This insightful instruction implies a great deal a person like me and substantially more to my peers. With thanks; from all of us. Your website offered us with helpful information to work on. You’ve performed an impressive job and our entire neighborhood will likely be grateful to you. Hiya, I’m really glad I’ve found this information. Today bloggers publish only about gossips and internet and this is really annoying. A good website with interesting content, that’s what I need. Thanks for keeping this site, I’ll be visiting it. Do you do newsletters? Cant find it. I’m still learning from you, as I’m trying to achieve my goals. I definitely enjoy reading all that is posted on your blog.Keep the information coming. I liked it! Valuable information. Fortunate me I found your site by chance, and I am stunned why this twist of fate did not happened in advance! I bookmarked it. What i don’t realize is in truth how you are now not actually a lot more well-favored than you might be right now. You’re very intelligent. You understand therefore considerably relating to this subject, produced me for my part consider it from so many numerous angles. Its like women and men aren’t interested unless it¡¦s something to do with Girl gaga! Your own stuffs excellent. All the time take care of it up! whoah this weblog is fantastic i like studying your articles. Stay up the good work! You understand, a lot of persons are hunting round for this info, you can aid them greatly. Thanks for sharing superb informations. Your website is so cool. I’m impressed by the details that you have on this site. It reveals how nicely you perceive this subject. Bookmarked this web page, will come back for extra articles. You, my pal, ROCK! I found simply the information I already searched all over the place and just could not come across. What a great web-site. Good ¡V I should certainly pronounce, impressed with your website. I had no trouble navigating through all the tabs and related information ended up being truly easy to do to access. I recently found what I hoped for before you know it at all. Reasonably unusual. Is likely to appreciate it for those who add forums or anything, site theme . a tones way for your client to communicate. Nice task..
be shared across the web. Shame on the seek engines for not positioning this put up higher! I’m pretty pleased to find this page. I wanted to thank you for ones time due to this wonderful read!! I definitely really liked every part of it and I have you book marked to look at new things in your blog. it might not be a taboo subject but usually people don’t discuss such issues. I would like to thank you for the efforts you’ve put in writing this site. I am hoping the same high-grade web site post from you in the upcoming as well. In fact your creative writing abilities has encouraged me to get my own blog now. Really the blogging is spreading its wings quickly. Your write up is a great example of it. Thank you for another informative website. Where else may just I get that kind of information written in such an ideal method? I’ve a mission that I am just now working on, and I’ve been on the look out for such info. I want to voice my love for your kindness supporting visitors who really need help on this important area. Your real commitment to passing the solution throughout had been surprisingly valuable and has empowered others just like me to achieve their aims. Your entire important useful information entails a great deal a person like me and far more to my mates. With thanks; from each one of us. These are actually enormous ideas in about blogging. You have touched some pleasant points here. Thanks for every other wonderful article. Where else may anyone get that type of information in such an ideal way of writing? I have a presentation next week, and I am on the look for such info. Hi friends, its impressive article on the topic of cultureand entirely defined, keep it up all the time. Hello there, I found your web site via Google whilst searching for a similar matter, your web site came up, it seems to be good. I’ve bookmarked it in my google bookmarks. Thank you a lot for giving everyone remarkably nice chance to read in detail from this site. It is always so awesome and as well , packed with a great time for me and my office peers to search your site nearly three times every week to study the newest secrets you have. And of course, I am just actually motivated with all the unbelievable points you serve. Some two tips in this article are unequivocally the most impressive we’ve had. It’s an amazing post in favor of all the web users; they will get advantage from it I am sure. videos, this site could definitely be one of the most beneficial in its niche. Great amazing issues here. I¡¦m very satisfied to see your article. Thank you a lot and i am taking a look ahead to contact you. Will you kindly drop me a e-mail? I am no longer certain the place you are getting your info, however great topic. I needs to spend some time finding out more or understanding more. Thanks for wonderful info I used to be in search of this info for my mission. I have been exploring for a bit for any high-quality articles or weblog posts on this sort of area . Exploring in Yahoo I at last stumbled upon this site. Reading this information So i¡¦m happy to express that I have a very just right uncanny feeling I discovered just what I needed. I most indisputably will make certain to don¡¦t fail to remember this website and provides it a glance on a constant basis. I want to show some thanks to the writer for rescuing me from this particular predicament. Just after looking out through the search engines and obtaining notions which were not beneficial, I believed my life was gone. Living without the answers to the issues you have solved as a result of your post is a crucial case, and the ones that might have adversely affected my entire career if I had not discovered the website. Your own personal skills and kindness in maneuvering a lot of stuff was invaluable. I’m not sure what I would’ve done if I had not encountered such a stuff like this. I’m able to at this point relish my future. Thanks for your time very much for your professional and result oriented help. I will not be reluctant to refer your site to anyone who desires counselling about this matter. else may I am getting that type of information written in such an ideal approach? Whats up very nice blog!! Guy .. Excellent .. Wonderful .. I will bookmark your site and take the feeds also¡KI am satisfied to find a lot of helpful info here in the publish, we want develop more techniques in this regard, thanks for sharing. . . . . .
You actually make it seem so easy along with your presentation but I to find this topic to be actually one thing that I think I would by no means understand. It kind of feels too complex and very extensive for me. I am having a look forward for your subsequent submit, I will attempt to get the cling of it! Great ¡V I should certainly pronounce, impressed with your site. I had no trouble navigating through all the tabs and related information ended up being truly simple to do to access. I recently found what I hoped for before you know it at all. Reasonably unusual. Is likely to appreciate it for those who add forums or anything, website theme . a tones way for your client to communicate. Excellent task..
Definitely, what a fantastic site and instructive posts, I surely will bookmark your blog.Have an awsome day! I precisely wanted to thank you so much yet again. I do not know the things I might have taken care of in the absence of these tactics shown by you regarding my concern. It has been an absolute intimidating crisis in my position, nevertheless taking a look at a new well-written style you managed the issue took me to weep with happiness. I’m just thankful for the service and hope that you find out what an amazing job you are undertaking educating others all through your website. More than likely you haven’t come across all of us. I’m still learning from you, as I’m trying to reach my goals. I definitely liked reading everything that is written on your site.Keep the posts coming. I enjoyed it! Reading this info So i am satisfied to express that I have a very excellent uncanny feeling I discovered exactly what I needed. Hiya, I’m really glad I’ve found this info. Today bloggers publish only about gossip and net stuff and this is really frustrating. A good blog with exciting content, this is what I need. Thanks for making this web site, and I will be visiting again. Do you do newsletters by email? Hello there. I found your site by means of Google while searching for a comparable topic, your website came up. It appears to be great. I’ve bookmarked it in my google bookmarks to come back then. Hiya, I am really glad I’ve found this information. Nowadays bloggers publish just about gossip and net stuff and this is really frustrating. A good blog with exciting content, that’s what I need. Thanks for making this site, and I will be visiting again. Do you do newsletters by email? Hello there. I found your blog by way of Google even as looking for a comparable subject, your site got here up. It looks good. I’ve bookmarked it in my google bookmarks to visit then. Hey there. I discovered your blog by way of Google even as looking for a comparable matter, your website came up. It appears to be great. I’ve bookmarked it in my google bookmarks to come back then. Hiya, I am really glad I’ve found this information. Nowadays bloggers publish only about gossip and net stuff and this is really frustrating. A good site with exciting content, that is what I need. Thanks for making this site, and I will be visiting again. Do you do newsletters by email? – P&N Plastering <Liked it! fantastic issues altogether, you just won a emblem new reader. What could you suggest about your submit that you simply made some days ago? Any positive? I in addition to my friends were actually studying the excellent thoughts on your web site while immediately I got an awful feeling I never expressed respect to the web site owner for those tips. My people appeared to be totally excited to read them and have seriously been making the most of them. I appreciate you for simply being quite kind and also for deciding on certain useful resources millions of individuals are really needing to understand about. My personal sincere regret for not expressing appreciation to you earlier. Hi there. I found your website by means of Google while searching for a similar matter, your site got here up. It appears to be good. I have bookmarked it in my google bookmarks to come back then. Hello there. I discovered your web site by means of Google even as looking for a similar matter, your website came up. It appears to be great. I’ve bookmarked it in my google bookmarks to come back then. Hey there. I found your site by means of Google while searching for a comparable topic, your web site came up. It looks good. I have bookmarked it in my google bookmarks to visit then. Hey there. I discovered your blog via Google at the same time as looking for a similar subject, your web site came up. It looks great. I’ve bookmarked it in my google bookmarks to come back then. Hiya, I’m really glad I have found this information. Today bloggers publish just about gossip and internet stuff and this is really frustrating. A good web site with exciting content, this is what I need. Thank you for making this web-site, and I will be visiting again. Do you do newsletters by email? Hey there. I found your site by way of Google whilst looking for a related matter, your web site got here up. It seems great. I’ve bookmarked it in my google bookmarks to visit then. Hello there. I found your web site by way of Google whilst looking for a related matter, your site got here up. It looks good. I’ve bookmarked it in my google bookmarks to come back then. Hiya, I’m really glad I’ve found this info. Today bloggers publish only about gossip and web stuff and this is really irritating. A good site with interesting content, this is what I need. Thanks for making this web site, and I will be visiting again. Do you do newsletters by email? Hiya, I am really glad I have found this information. Nowadays bloggers publish only about gossip and web stuff and this is really frustrating. A good web site with interesting content, that is what I need. Thanks for making this web site, and I will be visiting again. Do you do newsletters by email? Hiya, I am really glad I have found this info. Today bloggers publish just about gossip and net stuff and this is really irritating. A good web site with interesting content, this is what I need. Thanks for making this web site, and I’ll be visiting again. Do you do newsletters by email? Hey there. I discovered your blog by means of Google at the same time as looking for a comparable matter, your website got here up. It appears good. I have bookmarked it in my google bookmarks to visit then. Hiya, I am really glad I have found this info. Nowadays bloggers publish just about gossip and internet stuff and this is really irritating. A good site with interesting content, that’s what I need. Thanks for making this web-site, and I’ll be visiting again. Do you do newsletters by email? Hiya, I am really glad I’ve found this info. Nowadays bloggers publish only about gossip and net stuff and this is actually irritating. A good website with exciting content, this is what I need. Thank you for making this web-site, and I will be visiting again. Do you do newsletters by email? Hello there. I discovered your blog by the use of Google even as searching for a related subject, your web site got here up. It appears to be great. I’ve bookmarked it in my google bookmarks to visit then. Hi there. I found your site by means of Google even as looking for a comparable topic, your site got here up. It appears to be good. I’ve bookmarked it in my google bookmarks to come back then. Hello there. I discovered your blog by way of Google at the same time as looking for a comparable topic, your web site came up. It appears good. I have bookmarked it in my google bookmarks to come back then. Hiya, I am really glad I’ve found this info. Nowadays bloggers publish only about gossip and web stuff and this is actually annoying. A good site with exciting content, this is what I need. Thank you for making this web site, and I will be visiting again. Do you do newsletters by email? Hiya, I am really glad I’ve found this info. Today bloggers publish just about gossip and internet stuff and this is actually annoying. A good blog with exciting content, this is what I need. Thank you for making this web site, and I’ll be visiting again. Do you do newsletters by email? Hi there. I discovered your blog via Google whilst searching for a similar topic, your site got here up. It looks good. I have bookmarked it in my google bookmarks to come back then. Hello there. I found your site by means of Google even as looking for a similar matter, your website got here up. It appears to be great. I have bookmarked it in my google bookmarks to visit then. Hello there. I discovered your website by way of Google even as looking for a similar subject, your web site came up. It appears to be great. I’ve bookmarked it in my google bookmarks to visit then. Hey there. I found your web site by the use of Google whilst searching for a related matter, your website got here up. It appears great. I have bookmarked it in my google bookmarks to come back then. Hey there. I discovered your blog by way of Google at the same time as looking for a similar topic, your website came up. It seems great. I have bookmarked it in my google bookmarks to come back then. Hey there. I discovered your website by way of Google even as searching for a comparable subject, your site got here up. It appears to be good. I’ve bookmarked it in my google bookmarks to come back then. Hey there. I found your web site by the use of Google while looking for a comparable matter, your site came up. It seems good. I have bookmarked it in my google bookmarks to come back then. Hi there. I discovered your web site by means of Google whilst looking for a similar matter, your site got here up. It appears to be good. I have bookmarked it in my google bookmarks to visit then. Hi there. I discovered your site by way of Google while looking for a related topic, your website got here up. It seems good. I’ve bookmarked it in my google bookmarks to visit then. Hey there. I discovered your website via Google while searching for a similar topic, your website came up. It seems to be great. I’ve bookmarked it in my google bookmarks to come back then. Hello there. I found your site via Google while searching for a related matter, your site got here up. It appears great. I’ve bookmarked it in my google bookmarks to visit then. Hiya, I am really glad I’ve found this info. Nowadays bloggers publish only about gossip and net stuff and this is actually frustrating. A good web site with interesting content, that’s what I need. Thank you for making this web-site, and I will be visiting again. Do you do newsletters by email? Hiya, I am really glad I’ve found this information. Nowadays bloggers publish only about gossip and internet stuff and this is really frustrating. A good site with exciting content, this is what I need. Thank you for making this site, and I will be visiting again. Do you do newsletters by email? Hello there. I found your blog via Google while looking for a similar topic, your web site came up. It appears great. I’ve bookmarked it in my google bookmarks to visit then. Whats Going down i’m new to this, I stumbled upon this I have discovered It positively helpful and it has helped me out loads. I’m hoping to contribute & assist other users like its helped me. Great job. Simply wish to say your article is as surprising. The clarity in your post is just nice and i can assume you’re an expert on this subject. Well with your permission let me to grab your feed to keep up to date with forthcoming post. Thanks a million and please carry on the rewarding work. Hiya, I’m really glad I’ve found this information. Nowadays bloggers publish only about gossip and net stuff and this is actually annoying. A good website with interesting content, that is what I need. Thanks for making this website, and I’ll be visiting again. Do you do newsletters by email? Hiya, I’m really glad I’ve found this information. Nowadays bloggers publish just about gossip and web stuff and this is really frustrating. A good web site with exciting content, this is what I need. Thanks for making this site, and I’ll be visiting again. Do you do newsletters by email? Hey there! I just would like to offer you a huge thumbs up for the great info you have here on this post. I will be returning to your web site for more soon. Hey there. I found your blog by means of Google at the same time as searching for a related topic, your website got here up. It looks good. I’ve bookmarked it in my google bookmarks to visit then. Hiya, I’m really glad I have found this information. Today bloggers publish only about gossip and web stuff and this is actually irritating. A good web site with exciting content, that’s what I need. Thank you for making this website, and I will be visiting again. Do you do newsletters by email? Hi there. I discovered your web site by the use of Google whilst searching for a related matter, your website came up. It seems good. I have bookmarked it in my google bookmarks to come back then. Thanks for every one of your labor on this site. My niece enjoys participating in investigations and it’s really easy to see why. We all learn all of the powerful medium you deliver sensible tips and tricks through your web site and therefore foster participation from visitors on that concern then my girl has been understanding so much. Take advantage of the rest of the year. You’re conducting a really great job. Wow, wonderful weblog format! How lengthy have you ever been running a blog for? you make running a blog look easy. The overall look of your web site is excellent, let alone the content material! I simply wished to thank you so much all over again. I do not know the things I would have gone through without these strategies revealed by you about such a problem. This has been the terrifying crisis in my circumstances, nevertheless spending time with the skilled mode you handled the issue made me to weep with delight. I am just grateful for the information and thus believe you really know what an amazing job you are providing teaching the mediocre ones all through a blog. I’m certain you haven’t got to know any of us. Hiya, I am really glad I’ve found this information. Nowadays bloggers publish only about gossip and web stuff and this is actually irritating. A good website with interesting content, that’s what I need. Thanks for making this website, and I’ll be visiting again. Do you do newsletters by email? Hi there. I found your web site by way of Google whilst looking for a related matter, your website came up. It appears to be good. I’ve bookmarked it in my google bookmarks to visit then. Hey there. I discovered your blog by the use of Google whilst searching for a related topic, your web site came up. It appears to be great. I’ve bookmarked it in my google bookmarks to visit then. Hey there. I discovered your website by means of Google whilst looking for a similar subject, your site came up. It looks good. I have bookmarked it in my google bookmarks to come back then. Hi there. I found your site by way of Google whilst looking for a comparable subject, your website came up. It appears to be good. I’ve bookmarked it in my google bookmarks to visit then. Hiya, I am really glad I’ve found this info. Today bloggers publish only about gossip and net stuff and this is actually irritating. A good website with exciting content, this is what I need. Thanks for making this website, and I will be visiting again. Do you do newsletters by email? Hello there, I found your website via Google whilst looking for a comparable subject, your web site came up, it seems great. I’ve bookmarked it in my google bookmarks. Hiya, I am really glad I have found this info. Nowadays bloggers publish only about gossip and net stuff and this is actually frustrating. A good web site with interesting content, that is what I need. Thanks for making this web site, and I’ll be visiting again. Do you do newsletters by email? Hiya, I am really glad I have found this information. Today bloggers publish only about gossip and net stuff and this is really frustrating. A good blog with exciting content, this is what I need. Thank you for making this web site, and I’ll be visiting again. Do you do newsletters by email? Hello there. I discovered your website by means of Google whilst searching for a similar matter, your web site got here up. It seems to be great. I’ve bookmarked it in my google bookmarks to come back then. Hiya, I am really glad I’ve found this information. Today bloggers publish only about gossip and internet stuff and this is actually irritating. A good website with exciting content, this is what I need. Thanks for making this web-site, and I will be visiting again. Do you do newsletters by email? Hiya, I am really glad I’ve found this information. Today bloggers publish just about gossip and net stuff and this is actually irritating. A good site with interesting content, that’s what I need. Thank you for making this web-site, and I’ll be visiting again. Do you do newsletters by email? Hey there. I discovered your web site by way of Google at the same time as searching for a comparable subject, your site came up. It seems great. I have bookmarked it in my google bookmarks to visit then. hi!,I love your writing very a lot! proportion we be in contact more about your article on AOL? I require an expert in this house to solve my problem. May be that’s you! Looking forward to see you. Hiya, I’m really glad I’ve found this information. Nowadays bloggers publish just about gossip and web stuff and this is really annoying. A good site with interesting content, this is what I need. Thank you for making this site, and I will be visiting again. Do you do newsletters by email? My spouse and i felt peaceful when Peter could finish up his reports through the entire ideas he acquired through your site. It’s not at all simplistic to just possibly be releasing secrets and techniques which often many others could have been selling. And we understand we have the website owner to be grateful to for that. All of the illustrations you made, the easy site menu, the relationships your site give support to promote – it is most astonishing, and it’s really letting our son and the family do think this issue is satisfying, and that is truly serious. Thank you for the whole lot! Thanks for sharing excellent informations. Your site is so cool. I am impressed by the details that you¡¦ve on this blog. It reveals how nicely you understand this subject. Bookmarked this website page, will come back for more articles. You, my pal, ROCK! I found just the information I already searched everywhere and just could not come across. What a great site. Hiya, I am really glad I have found this info. Today bloggers publish just about gossip and internet stuff and this is really annoying. A good blog with interesting content, this is what I need. Thank you for making this web-site, and I’ll be visiting again. Do you do newsletters by email? Thanks for your write-up on this blog site. From my personal experience, there are times when softening right up a photograph may provide the photography with a chunk of an inspired flare. Oftentimes however, that soft blur isn’t just what you had in mind and can in many cases spoil a normally good picture, especially if you intend on enlarging the item. Hiya, I’m really glad I have found this information. Nowadays bloggers publish just about gossip and internet stuff and this is really frustrating. A good web site with exciting content, that’s what I need. Thank you for making this web site, and I will be visiting again. Do you do newsletters by email? Hello there. I found your site by the use of Google while searching for a related matter, your site got here up. It looks good. I’ve bookmarked it in my google bookmarks to visit then. Hiya, I’m really glad I have found this info. Nowadays bloggers publish only about gossip and net stuff and this is actually annoying. A good site with exciting content, that’s what I need. Thank you for making this web site, and I will be visiting again. Do you do newsletters by email? Hiya, I am really glad I’ve found this info. Nowadays bloggers publish just about gossip and net stuff and this is actually annoying. A good web site with interesting content, that is what I need. Thank you for making this site, and I’ll be visiting again. Do you do newsletters by email? Hello there. I discovered your web site by the use of Google while searching for a related topic, your web site got here up. It seems to be great. I have bookmarked it in my google bookmarks to come back then. Hiya, I am really glad I’ve found this info. Today bloggers publish only about gossip and net stuff and this is actually annoying. A good site with interesting content, this is what I need. Thank you for making this site, and I’ll be visiting again. Do you do newsletters by email? Hello there. I found your web site by means of Google whilst searching for a comparable subject, your site came up. It looks good. I’ve bookmarked it in my google bookmarks to visit then. Hello there. I found your web site via Google at the same time as searching for a comparable matter, your site came up. It seems to be great. I’ve bookmarked it in my google bookmarks to visit then. Hello there. I discovered your website by way of Google even as searching for a comparable topic, your site came up. It appears to be good. I have bookmarked it in my google bookmarks to visit then. Hello there. I found your web site via Google while searching for a related subject, your web site got here up. It appears good. I’ve bookmarked it in my google bookmarks to come back then. Hello there, I discovered your site by the use of Google whilst looking for a similar topic, your website came up, it looks good. I have bookmarked it in my google bookmarks. Hello there. I found your website by means of Google even as searching for a comparable matter, your site got here up. It appears to be good. I have bookmarked it in my google bookmarks to visit then. Hiya, I am really glad I’ve found this information. Today bloggers publish just about gossip and net stuff and this is really annoying. A good blog with interesting content, that’s what I need. Thank you for making this website, and I will be visiting again. Do you do newsletters by email? Hey there. I discovered your website via Google while searching for a comparable matter, your web site came up. It appears great. I’ve bookmarked it in my google bookmarks to come back then. Hiya, I am really glad I’ve found this information. Today bloggers publish only about gossip and web stuff and this is really annoying. A good site with interesting content, that is what I need. Thank you for making this web site, and I will be visiting again. Do you do newsletters by email? Hiya, I’m really glad I have found this info. Today bloggers publish only about gossip and web stuff and this is actually annoying. A good site with interesting content, that’s what I need. Thank you for making this website, and I will be visiting again. Do you do newsletters by email? Hiya, I’m really glad I have found this information. Today bloggers publish only about gossip and net stuff and this is really irritating. A good site with exciting content, this is what I need. Thanks for making this site, and I’ll be visiting again. Do you do newsletters by email? Hello, Neat post. There’s an issue along with your web site in internet explorer, might check this… IE nonetheless is the market chief and a good component of people will leave out your magnificent writing due to this problem. Hiya, I’m really glad I’ve found this info. Nowadays bloggers publish only about gossip and internet stuff and this is really frustrating. A good site with exciting content, this is what I need. Thanks for making this web site, and I will be visiting again. Do you do newsletters by email? I together with my friends have already been studying the great information located on the blog and then quickly I had a horrible feeling I never expressed respect to the web site owner for those techniques. All the people appeared to be absolutely passionate to read through all of them and have now absolutely been using those things. Appreciation for indeed being so thoughtful as well as for pick out such perfect guides most people are really needing to learn about. Our own honest regret for not saying thanks to you sooner. Hi, Neat post. There is a problem along with your website in web explorer, could test this¡K IE nonetheless is the marketplace leader and a big component to other folks will leave out your great writing due to this problem. Whats Happening i am new to this, I stumbled upon this I have discovered It absolutely helpful and it has helped me out loads. I’m hoping to contribute & help other customers like its aided me. Good job. certainly like your web-site however you need to check the spelling on quite a few of your posts. A number of them are rife with spelling problems and I in finding it very troublesome to tell the reality on the other hand I will surely come back again. Hi there. I found your website by way of Google whilst looking for a comparable matter, your web site came up. It seems good. I’ve bookmarked it in my google bookmarks to come back then. Thank you a lot for giving everyone an extraordinarily special opportunity to read articles and blog posts from this blog. It is often so useful and as well , jam-packed with fun for me and my office fellow workers to visit the blog at minimum thrice weekly to read the newest things you will have. And indeed, I’m also at all times fascinated with your remarkable methods served by you. Some 1 facts in this post are basically the most suitable I have had. Hiya, I’m really glad I have found this info. Today bloggers publish only about gossip and web stuff and this is really annoying. A good web site with exciting content, that’s what I need. Thanks for making this website, and I will be visiting again. Do you do newsletters by email? Hello there. I found your blog by way of Google while searching for a related subject, your site got here up. It seems to be good. I have bookmarked it in my google bookmarks to come back then. Hiya, I’m really glad I’ve found this information. Nowadays bloggers publish just about gossip and net stuff and this is actually annoying. A good website with exciting content, that is what I need. Thank you for making this web-site, and I’ll be visiting again. Do you do newsletters by email? Hiya, I’m really glad I have found this info. Today bloggers publish only about gossip and web stuff and this is really irritating. A good blog with interesting content, that’s what I need. Thank you for making this site, and I’ll be visiting again. Do you do newsletters by email? Hiya, I am really glad I have found this information. Nowadays bloggers publish only about gossip and net stuff and this is really annoying. A good site with exciting content, this is what I need. Thanks for making this site, and I’ll be visiting again. Do you do newsletters by email? Hiya, I’m really glad I have found this info. Nowadays bloggers publish just about gossip and net stuff and this is actually frustrating. A good website with exciting content, that is what I need. Thank you for making this web site, and I’ll be visiting again. Do you do newsletters by email? Hiya, I’m really glad I’ve found this information. Nowadays bloggers publish just about gossip and web stuff and this is actually irritating. A good blog with interesting content, this is what I need. Thank you for making this web site, and I will be visiting again. Do you do newsletters by email? Hiya, I’m really glad I’ve found this info. Today bloggers publish only about gossip and internet stuff and this is really annoying. A good blog with interesting content, this is what I need. Thanks for making this web site, and I’ll be visiting again. Do you do newsletters by email? Hiya, I’m really glad I’ve found this information. Today bloggers publish just about gossip and internet stuff and this is really frustrating. A good website with interesting content, that is what I need. Thanks for making this site, and I will be visiting again. Do you do newsletters by email? Hi there. I found your website by way of Google even as looking for a comparable subject, your website came up. It seems to be good. I have bookmarked it in my google bookmarks to come back then. Hiya, I am really glad I have found this info. Today bloggers publish only about gossip and web stuff and this is really frustrating. A good web site with exciting content, that’s what I need. Thanks for making this web site, and I will be visiting again. Do you do newsletters by email? Hiya, I am really glad I have found this info. Today bloggers publish just about gossip and net stuff and this is actually frustrating. A good site with interesting content, that’s what I need. Thanks for making this web-site, and I will be visiting again. Do you do newsletters by email? Hiya, I’m really glad I have found this info. Today bloggers publish just about gossip and internet stuff and this is actually annoying. A good website with interesting content, that’s what I need. Thank you for making this web site, and I will be visiting again. Do you do newsletters by email? Hello there. I discovered your site by means of Google while looking for a related topic, your site came up. It seems good. I have bookmarked it in my google bookmarks to come back then. Hiya, I’m really glad I’ve found this info. Today bloggers publish only about gossip and internet stuff and this is really annoying. A good website with exciting content, this is what I need. Thank you for making this site, and I’ll be visiting again. Do you do newsletters by email? Hello there. I found your site by way of Google whilst searching for a similar matter, your web site came up. It appears great. I’ve bookmarked it in my google bookmarks to come back then. I want to express my appreciation to you just for bailing me out of this particular trouble. Because of exploring throughout the the web and coming across solutions that were not pleasant, I believed my life was over. Existing minus the answers to the issues you’ve sorted out by way of this write-up is a critical case, and those that could have adversely damaged my career if I hadn’t discovered your website. Your good skills and kindness in controlling all the stuff was vital. I am not sure what I would’ve done if I hadn’t discovered such a point like this. I’m able to at this moment look forward to my future. Thanks for your time very much for the reliable and amazing help. I will not think twice to endorse your site to anyone who requires counselling about this situation. Hiya, I’m really glad I’ve found this info. Today bloggers publish only about gossips and internet and this is really annoying. A good blog with exciting content, this is what I need. Thanks for keeping this website, I’ll be visiting it. Do you do newsletters? Cant find it. Hiya, I am really glad I have found this info. Nowadays bloggers publish just about gossips and internet and this is really irritating. A good website with interesting content, this is what I need. Thank you for keeping this web site, I will be visiting it. Do you do newsletters? Cant find it. It¡¦s really a cool and useful piece of information. I am satisfied that you just shared this helpful information with us. Please keep us informed like this. Thanks for sharing. you are really a just right webmaster. The website loading pace is amazing. It sort of feels that you’re doing any unique trick. Furthermore, The contents are masterwork. you have done a wonderful process on this subject! Hey there. I discovered your website by means of Google while searching for a comparable topic, your website came up. It appears good. I have bookmarked it in my google bookmarks to come back then. Hey there. I found your site by means of Google whilst searching for a related subject, your site came up. It seems great. I have bookmarked it in my google bookmarks to visit then. Hiya, I’m really glad I’ve found this information. Nowadays bloggers publish only about gossip and net stuff and this is actually irritating. A good web site with interesting content, this is what I need. Thanks for making this web site, and I will be visiting again. Do you do newsletters by email? Hi there. I found your website by way of Google even as searching for a comparable subject, your site got here up. It seems to be good. I have bookmarked it in my google bookmarks to visit then. I¡¦ve learn some excellent stuff here. Definitely price bookmarking for revisiting. I surprise how much effort you place to create this kind of excellent informative web site. Hi there, I discovered your website by way of Google even as looking for a comparable subject, your site got here up, it appears great. I’ve bookmarked it in my google bookmarks. I precisely had to appreciate you once again. I do not know the things I could possibly have sorted out in the absence of the actual suggestions documented by you about such problem. It previously was the daunting concern in my position, however , understanding a specialised approach you resolved it made me to jump over joy. Now i am thankful for this advice and then pray you recognize what a powerful job you’re providing training some other people using your webpage. Most probably you have never come across all of us. Hiya, I’m really glad I’ve found this info. Nowadays bloggers publish just about gossip and web stuff and this is really frustrating. A good site with interesting content, this is what I need. Thanks for making this website, and I’ll be visiting again. Do you do newsletters by email? Hey there. I discovered your web site by means of Google while searching for a related matter, your site came up. It appears great. I’ve bookmarked it in my google bookmarks to visit then. Hello there, I discovered your site by the use of Google whilst looking for a related topic, your web site came up, it looks good. I’ve bookmarked it in my google bookmarks. Hey there. I found your site by means of Google whilst searching for a comparable matter, your web site came up. It seems to be great. I have bookmarked it in my google bookmarks to visit then. on. You have performed an impressive process and our whole neighborhood will likely be thankful to you. Hiya, I am really glad I’ve found this information. Nowadays bloggers publish just about gossip and web stuff and this is really frustrating. A good site with interesting content, that is what I need. Thanks for making this web-site, and I will be visiting again. Do you do newsletters by email? Hi there. I found your site via Google whilst searching for a comparable matter, your site came up. It seems to be great. I’ve bookmarked it in my google bookmarks to visit then. Hiya, I’m really glad I’ve found this information. Today bloggers publish only about gossip and internet stuff and this is really frustrating. A good web site with exciting content, that’s what I need. Thanks for making this site, and I will be visiting again. Do you do newsletters by email? particular post extraordinary. Excellent process! I really will need to…HaHa). You certainly put a fresh spin on a subject that’s been discussed for a long time. Hey there. I discovered your web site by the use of Google even as looking for a comparable matter, your site got here up. It appears to be great. I’ve bookmarked it in my google bookmarks to visit then. Hello there. I discovered your blog by means of Google at the same time as searching for a related matter, your website got here up. It seems good. I have bookmarked it in my google bookmarks to come back then. I in addition to my buddies were found to be taking note of the great techniques found on the blog and so then I had an awful feeling I never thanked you for those techniques. My people were for that reason very interested to learn all of them and have in effect definitely been taking advantage of these things. We appreciate you genuinely really considerate and also for deciding upon certain nice subject areas millions of individuals are really desperate to be informed on. Our sincere regret for not expressing gratitude to sooner. Great awesome things here. I am very happy to see your article. Thank you so much and i’m looking forward to touch you. Will you kindly drop me a e-mail? whoah this blog is excellent i like studying your articles. Stay up the good work! You understand, many individuals are searching round for this information, you could aid them greatly. wonderful issues altogether, you just received a brand new reader. What would you suggest about your submit that you simply made some days ago? Any positive? Hiya, I’m really glad I have found this info. Today bloggers publish just about gossip and web stuff and this is really irritating. A good web site with exciting content, that’s what I need. Thank you for making this web-site, and I will be visiting again. Do you do newsletters by email? Hiya, I’m really glad I have found this info. Today bloggers publish just about gossip and internet stuff and this is actually irritating. A good site with exciting content, this is what I need. Thank you for making this web site, and I will be visiting again. Do you do newsletters by email? Hey there. I discovered your site by the use of Google while looking for a comparable topic, your website came up. It appears to be great. I’ve bookmarked it in my google bookmarks to visit then. Admiring the dedication you put into your site and in depth information you present. It’s nice to come across a blog every once in a while that isn’t the same out of date rehashed information. Fantastic read! I’ve saved your site and I’m including your RSS feeds to my Google account. Hello there. I discovered your blog by means of Google whilst looking for a related topic, your web site came up. It seems to be good. I’ve bookmarked it in my google bookmarks to come back then. Hey there. I found your website by way of Google even as looking for a related subject, your site got here up. It appears to be great. I have bookmarked it in my google bookmarks to visit then. Hey there. I found your website by the use of Google whilst looking for a comparable matter, your web site came up. It seems to be good. I have bookmarked it in my google bookmarks to visit then. Hiya, I’m really glad I have found this information. Nowadays bloggers publish just about gossips and internet and this is really irritating. A good web site with interesting content, this is what I need. Thanks for keeping this web site, I will be visiting it. Do you do newsletters? Can not find it. Hiya, I’m really glad I have found this info. Today bloggers publish only about gossip and web stuff and this is really irritating. A good blog with exciting content, that is what I need. Thanks for making this web site, and I will be visiting again. Do you do newsletters by email? Hiya, I’m really glad I’ve found this info. Today bloggers publish just about gossip and internet stuff and this is really annoying. A good site with interesting content, that is what I need. Thank you for making this web site, and I will be visiting again. Do you do newsletters by email? Hiya, I am really glad I have found this info. Nowadays bloggers publish only about gossip and web stuff and this is really frustrating. A good web site with interesting content, that’s what I need. Thanks for making this web site, and I will be visiting again. Do you do newsletters by email? Hiya, I am really glad I have found this info. Today bloggers publish only about gossip and internet stuff and this is really annoying. A good website with interesting content, that’s what I need. Thanks for making this site, and I’ll be visiting again. Do you do newsletters by email? Hiya, I am really glad I’ve found this info. Today bloggers publish only about gossip and internet stuff and this is really frustrating. A good web site with exciting content, that is what I need. Thanks for making this website, and I will be visiting again. Do you do newsletters by email? Hiya, I’m really glad I have found this info. Nowadays bloggers publish only about gossip and web stuff and this is really irritating. A good web site with exciting content, that’s what I need. Thank you for making this website, and I will be visiting again. Do you do newsletters by email? Hi there. I found your web site by way of Google at the same time as searching for a similar subject, your site came up. It appears to be great. I’ve bookmarked it in my google bookmarks to visit then. Hiya, I’m really glad I’ve found this information. Today bloggers publish only about gossip and web stuff and this is actually frustrating. A good blog with exciting content, this is what I need. Thanks for making this website, and I’ll be visiting again. Do you do newsletters by email? Hiya, I’m really glad I’ve found this information. Nowadays bloggers publish just about gossip and internet stuff and this is actually annoying. A good website with exciting content, that is what I need. Thanks for making this web-site, and I’ll be visiting again. Do you do newsletters by email? Hello there. I discovered your blog by means of Google at the same time as searching for a similar matter, your website came up. It looks good. I’ve bookmarked it in my google bookmarks to visit then. Hi there. I discovered your site by way of Google at the same time as looking for a comparable matter, your website got here up. It seems to be good. I have bookmarked it in my google bookmarks to come back then. Hey there. I discovered your blog via Google whilst looking for a related matter, your web site got here up. It seems to be good. I have bookmarked it in my google bookmarks to come back then. Hiya, I am really glad I’ve found this info. Today bloggers publish just about gossip and net stuff and this is really irritating. A good web site with interesting content, that’s what I need. Thanks for making this web site, and I will be visiting again. Do you do newsletters by email? Hey there. I discovered your website by way of Google whilst searching for a similar matter, your site got here up. It seems great. I have bookmarked it in my google bookmarks to visit then. Hi there. I discovered your blog by the use of Google whilst looking for a related matter, your website came up. It seems to be great. I have bookmarked it in my google bookmarks to visit then. Hello there. I discovered your website by the use of Google whilst looking for a related matter, your website came up. It looks good. I’ve bookmarked it in my google bookmarks to visit then. Hiya, I am really glad I’ve found this info. Nowadays bloggers publish only about gossip and internet stuff and this is actually frustrating. A good web site with exciting content, this is what I need. Thank you for making this site, and I will be visiting again. Do you do newsletters by email? I was recommended this web site through my cousin. I am not certain whether or not this submit is written by means of him as nobody else recognize such certain approximately my difficulty. Hello there. I discovered your website via Google while searching for a similar subject, your site got here up. It seems to be good. I have bookmarked it in my google bookmarks to come back then. Hey there. I discovered your blog via Google while looking for a comparable subject, your website came up. It appears to be good. I have bookmarked it in my google bookmarks to come back then. Hey there. I discovered your blog by the use of Google while searching for a similar matter, your site came up. It appears great. I’ve bookmarked it in my google bookmarks to visit then. Hey there. I discovered your blog by means of Google even as searching for a related matter, your web site came up. It looks great. I’ve bookmarked it in my google bookmarks to come back then. Hi there. I discovered your blog by means of Google whilst looking for a similar topic, your web site got here up. It appears to be great. I have bookmarked it in my google bookmarks to visit then. Hiya, I’m really glad I’ve found this information. Nowadays bloggers publish just about gossip and net stuff and this is really frustrating. A good web site with exciting content, that’s what I need. Thanks for making this website, and I’ll be visiting again. Do you do newsletters by email? Hiya, I’m really glad I’ve found this information. Today bloggers publish just about gossip and internet stuff and this is really irritating. A good website with exciting content, this is what I need. Thank you for making this web-site, and I’ll be visiting again. Do you do newsletters by email? Hiya, I’m really glad I’ve found this info. Today bloggers publish only about gossip and internet stuff and this is really irritating. A good website with interesting content, that is what I need. Thanks for making this site, and I will be visiting again. Do you do newsletters by email? Hiya, I am really glad I have found this information. Today bloggers publish just about gossip and web stuff and this is really irritating. A good blog with interesting content, this is what I need. Thanks for making this website, and I’ll be visiting again. Do you do newsletters by email? We’re a bunch of volunteers and opening a new scheme in our community. Your site provided us with helpful information to paintings on. You have performed an impressive task and our entire community shall be thankful to you. Hiya, I am really glad I’ve found this information. Nowadays bloggers publish just about gossip and web stuff and this is actually irritating. A good site with exciting content, this is what I need. Thank you for making this site, and I will be visiting again. Do you do newsletters by email? Hey there. I found your website by means of Google while searching for a similar subject, your website came up. It looks good. I have bookmarked it in my google bookmarks to visit then. Hey there. I found your site by means of Google whilst looking for a comparable topic, your web site came up. It appears to be good. I’ve bookmarked it in my google bookmarks to visit then. Yes! Finally someone writes about Meetpositives.com. Hey there. I discovered your website by the use of Google while searching for a similar matter, your website came up. It seems to be good. I’ve bookmarked it in my google bookmarks to come back then. Hello there. I found your website by the use of Google whilst searching for a comparable topic, your website came up. It seems to be good. I’ve bookmarked it in my google bookmarks to come back then. Hi there. I discovered your blog by way of Google at the same time as looking for a related matter, your site came up. It looks great. I’ve bookmarked it in my google bookmarks to visit then. Hello there. I discovered your website by way of Google at the same time as looking for a related matter, your website came up. It seems to be good. I have bookmarked it in my google bookmarks to visit then. Hiya, I am really glad I have found this information. Nowadays bloggers publish just about gossip and internet stuff and this is really irritating. A good website with interesting content, that’s what I need. Thanks for making this site, and I will be visiting again. Do you do newsletters by email? Hiya, I’m really glad I have found this information. Nowadays bloggers publish just about gossip and internet stuff and this is really annoying. A good website with interesting content, this is what I need. Thank you for making this site, and I will be visiting again. Do you do newsletters by email? Hiya, I’m really glad I have found this information. Nowadays bloggers publish only about gossip and internet stuff and this is really annoying. A good site with interesting content, that’s what I need. Thanks for making this web-site, and I’ll be visiting again. Do you do newsletters by email? Hey there. I discovered your blog by way of Google whilst looking for a similar matter, your website got here up. It looks good. I’ve bookmarked it in my google bookmarks to come back then. Hey there. I discovered your web site by way of Google while searching for a similar subject, your site came up. It seems to be good. I have bookmarked it in my google bookmarks to come back then. What i don’t understood is actually how you’re not really much more well-liked than you might be right now. You are very intelligent. You realize thus considerably relating to this subject, produced me personally consider it from a lot of varied angles. Its like women and men aren’t fascinated unless it is one thing to do with Lady gaga! Your own stuffs great. Always maintain it up! Hey there. I discovered your blog by way of Google at the same time as looking for a comparable matter, your site came up. It looks great. I have bookmarked it in my google bookmarks to come back then. Hiya, I’m really glad I have found this information. Today bloggers publish just about gossip and net stuff and this is really irritating. A good web site with interesting content, that’s what I need. Thank you for making this web site, and I will be visiting again. Do you do newsletters by email? Hiya, I am really glad I have found this info. Nowadays bloggers publish only about gossip and web stuff and this is really irritating. A good web site with interesting content, that’s what I need. Thank you for making this website, and I’ll be visiting again. Do you do newsletters by email? Hello there. I found your website by means of Google whilst searching for a related subject, your web site came up. It appears to be great. I’ve bookmarked it in my google bookmarks to visit then. Hi, i believe that i saw you visited my blog thus i came to return the choose?.I’m attempting to find issues to enhance my web site!I assume its ok to make use of a few of your ideas!! Hiya, I am really glad I have found this information. Nowadays bloggers publish only about gossip and internet stuff and this is really frustrating. A good site with exciting content, that’s what I need. Thanks for making this web site, and I’ll be visiting again. Do you do newsletters by email? Hiya, I am really glad I have found this information. Nowadays bloggers publish just about gossip and web stuff and this is really irritating. A good blog with interesting content, that’s what I need. Thanks for making this web site, and I will be visiting again. Do you do newsletters by email? Hey there. I discovered your website by means of Google even as looking for a related matter, your web site came up. It seems to be good. I have bookmarked it in my google bookmarks to visit then. Hiya, I am really glad I’ve found this information. Nowadays bloggers publish only about gossip and net stuff and this is really irritating. A good site with exciting content, this is what I need. Thank you for making this website, and I’ll be visiting again. Do you do newsletters by email? I’m very happy to discover this web site. I want to to thank you for ones time just for this fantastic read!! I definitely loved every little bit of it and i also have you saved to fav to look at new information in your blog. Hello there. I found your blog via Google while searching for a comparable matter, your website got here up. It seems great. I have bookmarked it in my google bookmarks to come back then. Hey there. I found your blog by means of Google even as searching for a comparable subject, your website came up. It appears great. I’ve bookmarked it in my google bookmarks to visit then. Hiya, I’m really glad I have found this info. Today bloggers publish only about gossip and internet stuff and this is actually irritating. A good blog with exciting content, this is what I need. Thanks for making this web site, and I’ll be visiting again. Do you do newsletters by email? Hello there. I discovered your site by way of Google at the same time as looking for a comparable topic, your site came up. It seems great. I have bookmarked it in my google bookmarks to visit then. Hiya, I’m really glad I have found this info. Nowadays bloggers publish only about gossip and web stuff and this is actually frustrating. A good site with exciting content, this is what I need. Thank you for making this web site, and I’ll be visiting again. Do you do newsletters by email? Hiya, I’m really glad I’ve found this information. Today bloggers publish just about gossip and web stuff and this is actually frustrating. A good web site with exciting content, that is what I need. Thank you for making this website, and I will be visiting again. Do you do newsletters by email? Hello there. I discovered your website by the use of Google whilst looking for a comparable topic, your site got here up. It appears to be great. I have bookmarked it in my google bookmarks to come back then. Hey there. I found your blog by way of Google while searching for a related topic, your website got here up. It looks good. I’ve bookmarked it in my google bookmarks to visit then. Hiya, I am really glad I have found this info. Nowadays bloggers publish only about gossip and web stuff and this is really irritating. A good web site with interesting content, this is what I need. Thanks for making this web site, and I will be visiting again. Do you do newsletters by email? Hey there. I found your web site by the use of Google even as searching for a related matter, your web site got here up. It appears to be great. I have bookmarked it in my google bookmarks to come back then. Hiya, I’m really glad I have found this info. Nowadays bloggers publish only about gossip and internet stuff and this is actually irritating. A good blog with interesting content, this is what I need. Thanks for making this website, and I will be visiting again. Do you do newsletters by email? Hiya, I’m really glad I’ve found this information. Today bloggers publish just about gossip and web stuff and this is really irritating. A good blog with interesting content, this is what I need. Thank you for making this site, and I’ll be visiting again. Do you do newsletters by email? Hey there. I discovered your website by way of Google at the same time as searching for a related topic, your website got here up. It appears great. I have bookmarked it in my google bookmarks to visit then. in our community. Your website offered us with helpful information to work on. You have done a formidable task and our entire community will likely be thankful to you. Hiya, I’m really glad I’ve found this info. Today bloggers publish only about gossip and web stuff and this is really frustrating. A good site with exciting content, this is what I need. Thank you for making this web-site, and I will be visiting again. Do you do newsletters by email? Hiya, I am really glad I have found this information. Nowadays bloggers publish just about gossip and internet stuff and this is really annoying. A good website with exciting content, that’s what I need. Thanks for making this web site, and I will be visiting again. Do you do newsletters by email? Hiya, I’m really glad I have found this info. Today bloggers publish just about gossip and internet stuff and this is actually irritating. A good web site with exciting content, that’s what I need. Thank you for making this web-site, and I’ll be visiting again. Do you do newsletters by email? Hey there. I discovered your website by the use of Google whilst searching for a comparable subject, your site came up. It seems great. I’ve bookmarked it in my google bookmarks to visit then. Hi there. I found your website by means of Google at the same time as looking for a comparable matter, your site came up. It looks great. I have bookmarked it in my google bookmarks to visit then. Hiya, I am really glad I have found this information. Nowadays bloggers publish just about gossip and internet stuff and this is actually frustrating. A good blog with interesting content, that’s what I need. Thank you for making this website, and I’ll be visiting again. Do you do newsletters by email? Hello there. I discovered your site by the use of Google whilst searching for a similar topic, your site came up. It seems to be good. I have bookmarked it in my google bookmarks to come back then. Hiya, I’m really glad I have found this info. Nowadays bloggers publish only about gossip and net stuff and this is actually irritating. A good web site with interesting content, that’s what I need. Thank you for making this web-site, and I will be visiting again. Do you do newsletters by email? Hiya, I’m really glad I’ve found this information. Nowadays bloggers publish just about gossip and internet stuff and this is really annoying. A good site with interesting content, this is what I need. Thank you for making this site, and I will be visiting again. Do you do newsletters by email? I¡¦ve been exploring for a little bit for any high-quality articles or weblog posts on this sort of area . Exploring in Yahoo I at last stumbled upon this website. Studying this information So i am glad to show that I have an incredibly good uncanny feeling I came upon exactly what I needed. I so much definitely will make certain to do not overlook this website and give it a look regularly. Hiya, I’m really glad I’ve found this information. Today bloggers publish only about gossip and net stuff and this is actually irritating. A good website with exciting content, that’s what I need. Thank you for making this site, and I’ll be visiting again. Do you do newsletters by email? Very good information. Lucky me I recently found your blog by accident (stumbleupon). I’ve bookmarked it for later! Hey there. I found your blog by way of Google at the same time as searching for a comparable topic, your web site came up. It appears good. I’ve bookmarked it in my google bookmarks to visit then. Hiya, I am really glad I’ve found this information. Nowadays bloggers publish only about gossip and net stuff and this is really frustrating. A good blog with interesting content, this is what I need. Thanks for making this website, and I will be visiting again. Do you do newsletters by email? Fantastic blog! Do you have any helpful hints for aspiring writers? I’m planning to start my own blog soon but I’m a little lost on everything. Would you suggest starting with a free platform like WordPress or go for a paid option? There are so many options out there that I’m totally confused .. Any suggestions? Kudos! Hi there. I discovered your site by the use of Google at the same time as searching for a related matter, your website got here up. It appears to be great. I’ve bookmarked it in my google bookmarks to come back then. Hiya, I’m really glad I’ve found this information. Nowadays bloggers publish just about gossip and net stuff and this is really frustrating. A good web site with exciting content, this is what I need. Thank you for making this website, and I’ll be visiting again. Do you do newsletters by email? Hiya, I am really glad I’ve found this info. Nowadays bloggers publish only about gossip and net stuff and this is really irritating. A good web site with interesting content, that’s what I need. Thanks for making this web-site, and I’ll be visiting again. Do you do newsletters by email? Hiya, I am really glad I have found this info. Nowadays bloggers publish just about gossip and internet stuff and this is actually frustrating. A good blog with exciting content, this is what I need. Thanks for making this web-site, and I will be visiting again. Do you do newsletters by email? Hi there. I found your blog via Google while looking for a related topic, your website got here up. It looks good. I’ve bookmarked it in my google bookmarks to come back then. I blog frequently and I truly appreciate your information. This great article has truly peaked my interest. I am going to book mark your blog and keep checking for new information about once per week. I opted in for your RSS feed too. Hiya, I am really glad I have found this information. Nowadays bloggers publish only about gossip and internet stuff and this is really frustrating. A good website with exciting content, this is what I need. Thanks for making this web-site, and I will be visiting again. Do you do newsletters by email? A lot of thanks for each of your efforts on this web page. My mother really likes participating in research and it is easy to understand why. A number of us notice all regarding the dynamic ways you deliver both useful and interesting tips and tricks by means of this blog and as well foster participation from some others on that article and our girl is without a doubt studying a great deal. Enjoy the remaining portion of the year. You’re the one performing a really good job.